Alas, the craft store Michael's opened up nearby a while ago, and I keep getting coupons, so I keep buying little things. Anyway, I needed something to cover the wall in the bathroom. 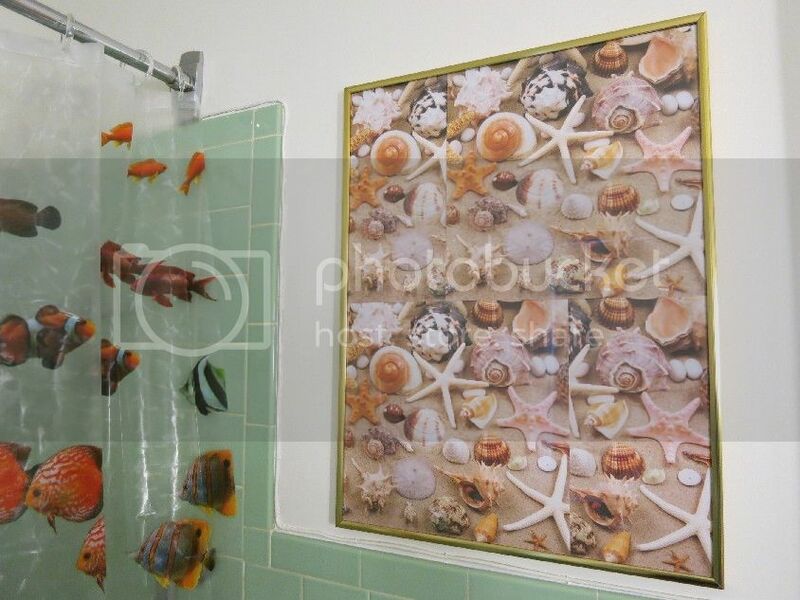 As the tiles were green, and the tub curtains were definitely tropical, I found these sheets of shell photos in the HUGE row of different colored/style papers. I took four and put them in a frame and it turned out pretty good. Only about a dollar for all four papers (on sale) and the frame was in the attic, so, cheap! The shining eyes are snow markers. They're not even in all the way to the ground, so you can sorta figure out the size. 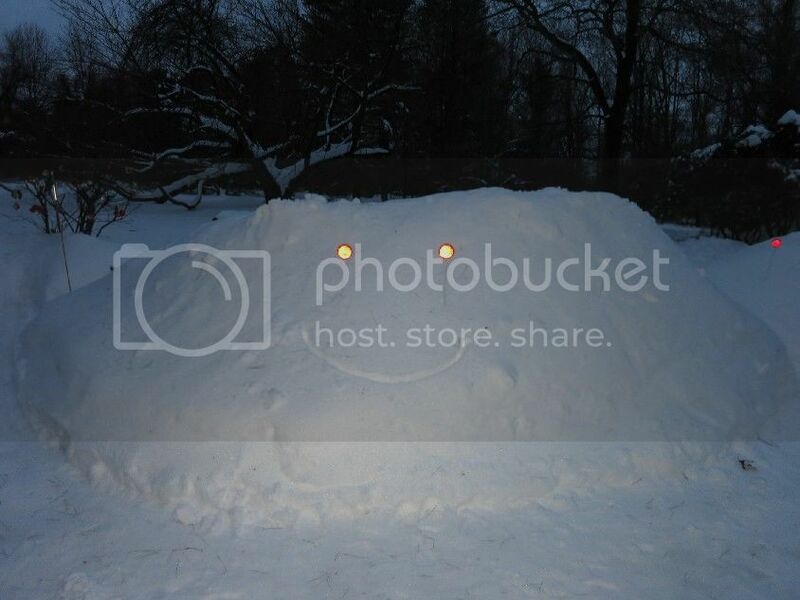 It's a BIG pile of snow. I drew a happy face in it. And we have perhaps six more inches tonight, and another 1-3 on Saturday. ARGH!!! !